Walking into Le Petit Chapeau, I instantly feel the urge to travel to Paris and stroll its streets: taking in the sights and sounds of the city, inhaling the delicious smell of fresh baguettes and stopping at a small outdoor café to enjoy an espresso, all the while watching fashionable Parisians go by,wearing ‘fascinators.’ Fascinators? You may ask. 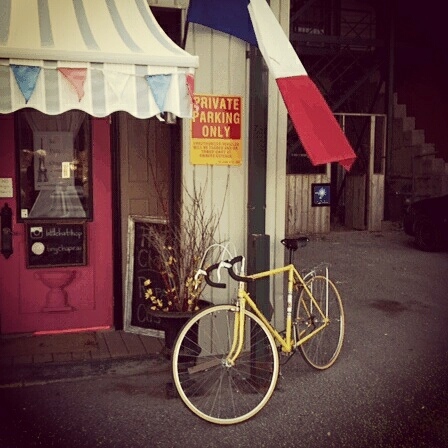 If you don’t know what they are, you will after visiting Le Petit Chapeau! I discovered Le Petit Chapeau because I needed a fascinator for an event. A quick Google search for hat shops in Barrie brought me to their door. I stopped in and quickly realized this store is much more than just hats! It’s a trip down memory lane, where you can buy vintage tea cups, lace gloves, men’s cufflinks, or handmade soaps that are all natural and smell absolutely heavenly! 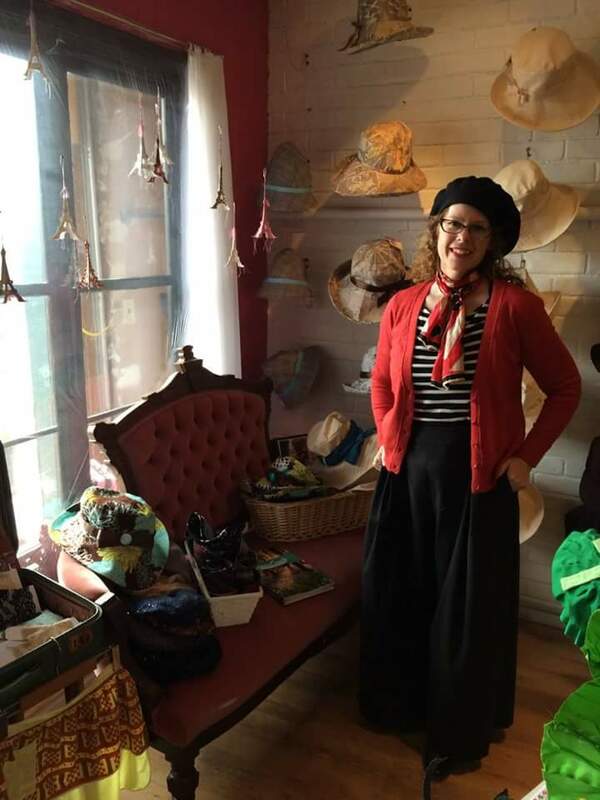 Many items in Le Petit Chapeau are created in store by owner Meaghan Armstrong and her apprentice Sara Czech, including hats, gloves, stationary and bath and beauty products. The shop also houses a collection of vintage items such as jewellery, accessories, negligees and robes. Meaghan believes in the importance of community and supporting local business, so the shop also features products by local artisans. You will find paper Eiffel towers by eco-artist Lisa Brunetta and jewellery lines by Loved and Jill Price. On one visit, I bought a beautiful pair of decorative hair pins for my mother, crafted by Jill from glass and bits of paintings and fabric from her mixed media art. Le Petit Chapeau is located across from Heritage Park on Simcoe Street in the Lakeshore Mews. The store faces the lake and , on warm spring days when the wind blows through the open shop windows and the wind chimes sing outside, it makes me feel like I really am in a little shop in Paris. Meaghan is one of the most knowledgeable shop owners I’ve ever met. She’s an incredible woman whose passion makes your shopping experience so much more enjoyable. For example, she sells Le Petit Perfume – oil based, preservative -free perfumes, handmade in small batches. I knew nothing of how scents are composed – just what I liked and what I didn’t like- but Meaghan taught me about low notes, medium notes and high notes, and helped me find a scent that suited my tastes and my chemistry. The perfumes come in small roll on applicators; it’s fun to mix and match the different scents, which include rose, lily of the valley, jasmine, cherry blossom and even maple bacon! Le Petit Chapeau is online at http://www.littlehatshop..com where you can follow their blog, sign up for hat-making classes, order a custom creation or shop their collection. Meaghan’s hats have traveled the world, being ordered from locations such as New York, Luxembourg and New Zealand. You can also keep up to date on their latest creations by following them Instagram http://www.instagram.com/littlehatshop, Pinterest http://pinterest.com/tinychapeau and Facebook http://facebook.com/le-petit-chapeau-handmade-millinery . For serious shoppers they even have their own app! 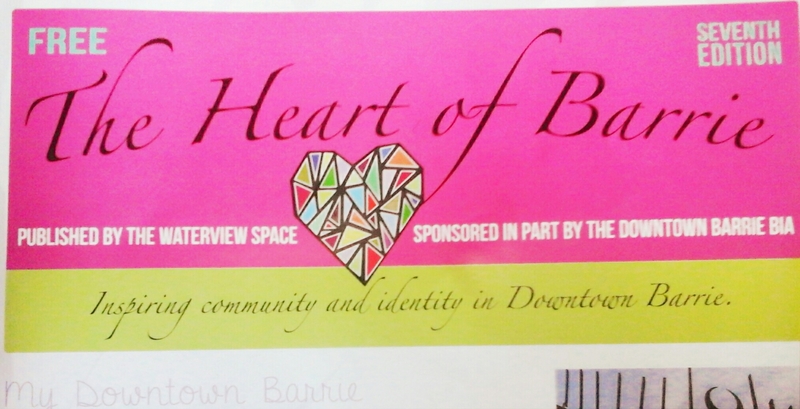 And, if you’ve visited the shop and are a fan like me, I recommend leaving a review for them on TripAdvisor to help new customers find the store when visiting Barrie. Le Petit Chapeau is much more than just a store: it’s a complete experience that draws you in and keeps you wanting more. 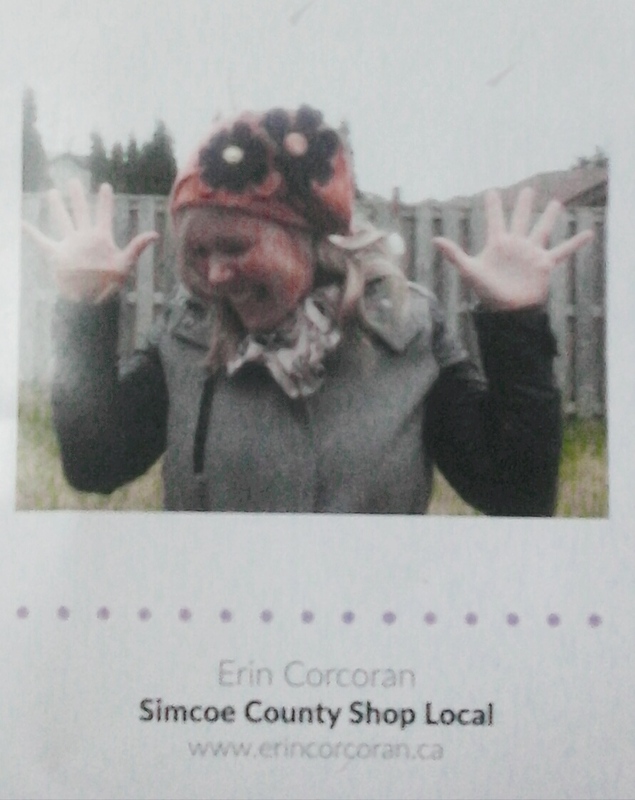 Posted in Card Catalogue, In The Shop and tagged canadian hat maker, hatshop, heart of barrie, Meaghan Armstrong, ontario millinery, simcoe county, toeonto accessories. Bookmark the permalink.